• Where I was yesterday the temperature on the car's thermometer hit 108 degrees. And, when I stepped outside the air-conditioned interior, it felt every bit of that. The heat is on in California, that's for sure. Which just happened to be the subject of Jacob Thorpe's blog post yesterday concerning the Cougars. When the Pac-12 schools get together for their media day next month, the Southern California heat will turn a bit toward Washington State. Everyone and their nephew expects the Cougars to be at least pretty good this fall, though, for the life of me, I just can't understand why. Just kidding. I get it. Luke Falk is back and, at the end of last season, he was quite possibly the best quarterback in the best quarterback conference in the nation. More than half the offensive line returns. The best receiving corps is back as well. The defense loses key pieces but seems to be on an upward trajectory. Even the special teams should be improved. But in Pullman success depends on good fortune as well. Always has, always will. Though WSU's depth has improved, is there anyone more important for his team in college football this season than Falk? That's not hyperbole. Look what happened to Washington State in the Apple Cup last fall without him. And Peyton Bender was available for that game. He won't be this season. That leaves the Cougars with unproven and unknown as backup quarterbacks. Now there is no reason to automatically dismiss Falk's backup crew. There is a good possibility at least one of them will blossom into a true star. Someday. But that day usually takes some time. Falk needed it. He was just north of average early last season and grew into the conference's best by the bowl season. All it took was reps, hundreds of them. In practice and games. The latter is something the backups won't get unless they have to. Falk went down a couple times last year and Bender stepped in. Bender won't be available to step in this fall. So keeping Falk healthy has to be the Cougars' No. 1 goal. In modern football, that's not easy to do. Especially with a left side of the offensive line getting its first significant playing time come September. It will be hot then too. • Sorry for the short nature of this post – and the paucity of links. Conditions are just such it was really tough to get to the usual places today. I cut my journey short just to get this up at a decent time. • WSU: Jacob Thorpe resurfaced on the blog yesterday with a post that served as the impetus for my morning column. Jacob's take, as opposed to mine, is worth reading. • Indians: The road seems to be agree with the Indians. They won again last night at Tri-City. • Chiefs: Kailer Yamamoto will get a chance with a U.S. national team. Tom Clouse has the story. • Empire: Injuries are sapping Spokane's momentum. Jim Meehan has more in his weekly notebook. • Mariners: Summer is here, sure. So is the Mariners' swoon. It seems a bit different this year, though. Injuries are at the core of it. And right behind is the inability to win tight games, something that was happening early in the season. Another one went a wanting, 4-2, at Detroit, even though James Paxton threw well. ... Taijuan Walker doesn't have any actionable damage to his foot. ... Jerry Dipoto is not sitting on his hands. He's making moves trying to fix things. • Seahawks: The Seahawk defense has a plan to force more turnovers. 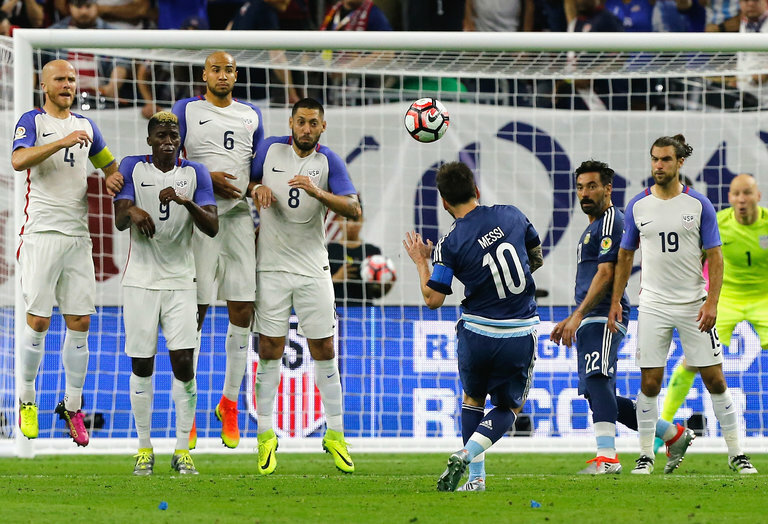 • Sounders: The big chance against Argentina blew up for the U.S., as the Americans lost 4-0 to Lionel Messi – what a goal – and the No. 1-ranked team in the world in the Copa America semifinals. ... Who is ranked where in the MLS?